Burn2Learn are short activities that get us out of our seats and active during lessons. We use Burn2Learn in many of our lessons. 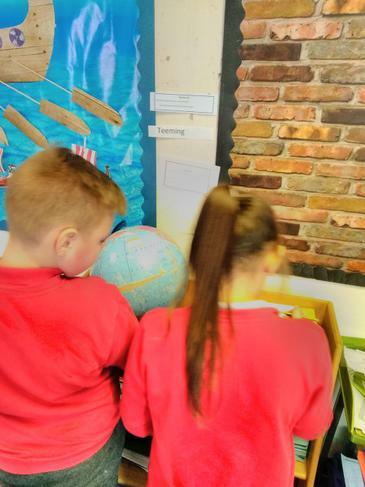 In GPS we worked in partners to complete a GPS treasure hunt. We were given an answer sheet and hidden around the room were a range of questions. We had to locate the questions and then record our answers on our answer sheets. 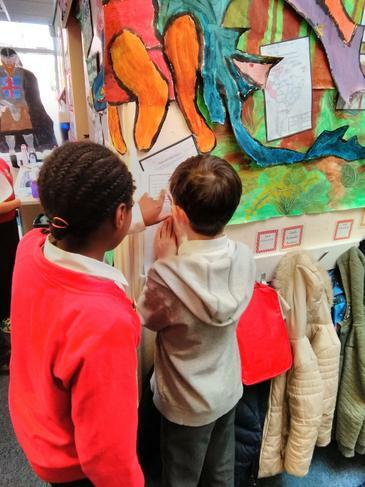 In Reading we were exploring poetry. We looked at the impact of metaphors. We then had to locate the names of objects that were hidden around the room. We created metaphors and examples of personification for each object. 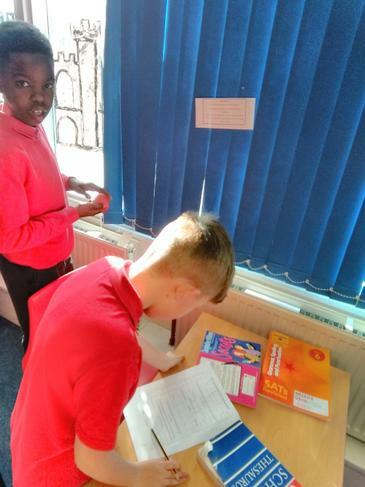 In a Maths lesson we had to locate a range of fraction word problems that were hidden around the classroom. Once we located them we had to work in small groups to solve them. During a reading lesson, we had to locate coloured strips of paper that were hidden around the room. We then worked together as a group to sort the slips based on whether they were facts or opinions. 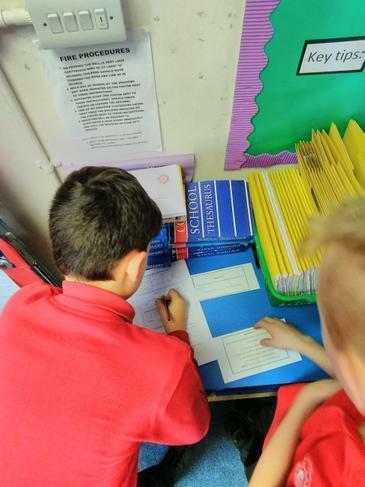 The facts and opinions were based on a non-fiction text about a Beamish museum. In Science we had to locate many different animals that were hidden around the classroom. We then had to sort the animals based on their characteristics/adaptations. 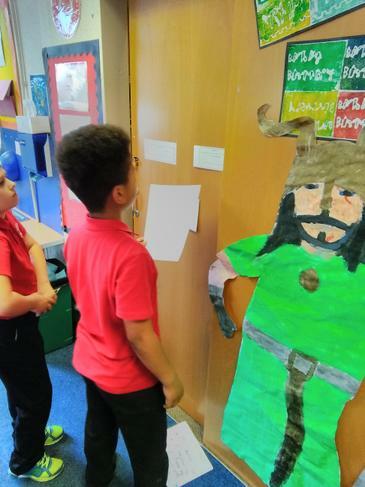 In Literacy we had to act out a scene from the book Journey to The River Sea. The main character (Maia) had tripped over in the jungle and was discovered by an Amazonian boy. We freeze framed the reactions of both characters. In reading we came across some words that we were unsure about. 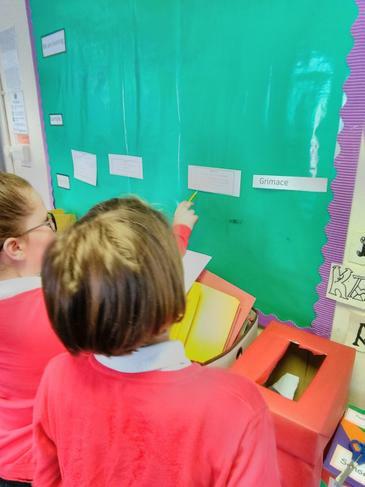 Miss Wood stuck up the definitions around the classroom and we had to write each new word onto a post-it note, then try to match the words with their meanings. 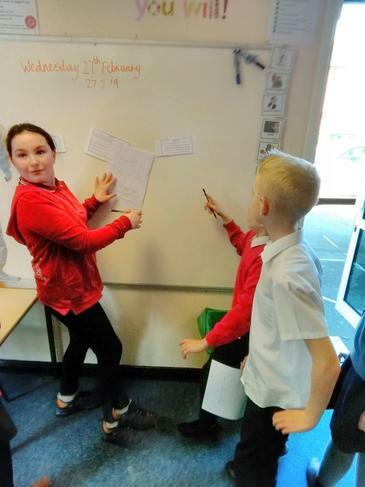 In this lesson we had to see each person in our class and write a good quality about each person onto a piece of paper that was stuck on everyone's back. As well as being active this was a great confidence boosting PSHE lesson.